abdul was awarded the Basic Barnstar by iolanthe82 for their work in this research note. So you've just opened your Infragram Point & Shoot! 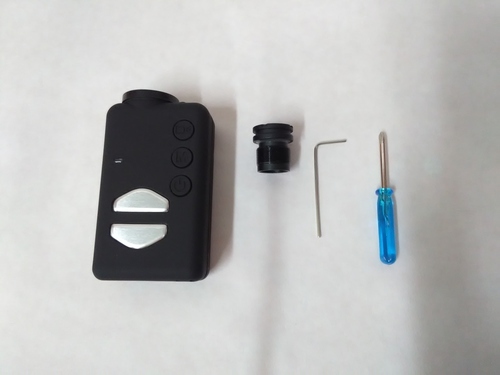 You'll notice that it's based on a commercial product called the Mobius Action Cam, so all of the guides here apply to any other Mobius Action Cam. For more guides on using your camera, see Infragram Point & Shoot activities or all Infragram activities for more ways to use your hacked camera. And since Public Lab is a collaborative, open-source community, we also ask that you share your own ideas, improvements and workarounds and work as step-by-step activities for others to try! 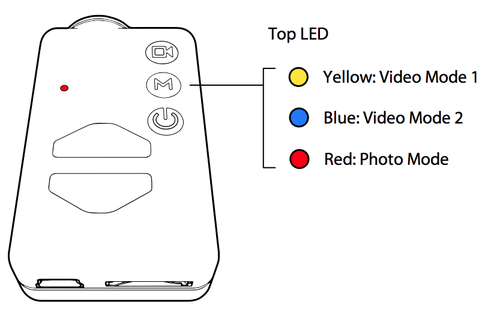 There are three basic modes to the camera, which you can switch through with the M button, and each shows a different color on the main LED. Once you've loaded the custom white balance in the config file (see below) and charged up the camera, you're ready to use it -- just turn it on, press M twice, until you see a RED light. Then you can use the "Shutter" button which looks like: __, to take photos. The red light will blink. Note on firmware: If you bought your Infragram Point and Shoot from the Public Lab Store then it is very unlikely that you will need a firmware update. But if you are modifying your own Mobius Action Cam, you may need to update your camera. After you've put everything back together, you may need to update your camera's software. Distinct from the firmware update is the config file, which lets you set things like the timelapse interval (if you're doing timelapse) and the white balance, which is critical for using the Mobius as an Infragram camera. This is so great, Abdul!!! @iolanthe82 awards a barnstar to abdul for their awesome contribution!